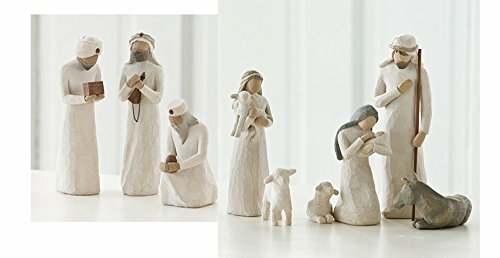 Willow Tree Nativity Holy Family and 3 Wisemen Set of 9 Figures. Behold the awe and wonder of the Christmas Story with this set of 9 figures.Its simplicity and form has made it a timeless classic. As a Christmas gift, wedding gift or self-purchase, the Willow Tree Nativity continues on as a family tradition.